Welcome to Day 1021 of our Wisdom-Trek, and thank you for joining me. Wisdom – the final frontier to true knowledge. Welcome to Wisdom-Trek! Our mission is to create a legacy of wisdom, to seek out discernment and insights, and to boldly grow where few have chosen to grow before. Hello, my friend, I am Guthrie Chamberlain, your captain on our journey to increase wisdom and create a living legacy. Thank you for joining us today as we explore wisdom on our 2nd millennium of podcasts. 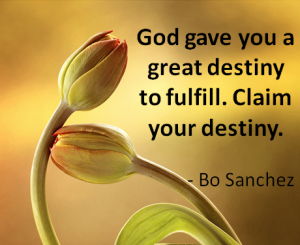 This is Day 1021 of our trek, and it is Wisdom Wednesday. 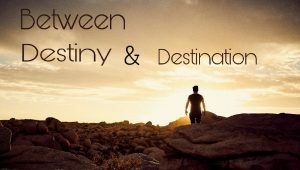 His ambitions are repeated a few verses later in Romans 15:28, “As soon as I have delivered this money and completed this good deed of theirs, I will come to see you on my way to Spain.” It’s certainly ambitious for him to be making travel plans. But Paul wasn’t making casual conversation or planning a vacation. He believed that his life and ministry would not end until he reached Spain. We aren’t sure if Paul made it, but he was passionate about getting there. Why? He saw himself in the prophecy of Isaiah 66. 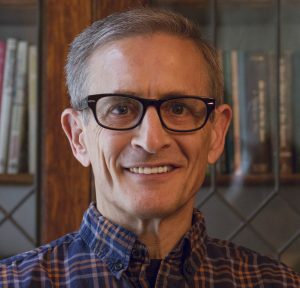 Throughout his letters, Paul quotes Isaiah and other Old Testament books to show that the long-promised day of salvation would come during his lifetime. In the Old Testament, the Jewish belief in Jesus as the Messiah was preceded by something Paul referred to as “the full number of Gentiles comes to Christ,” which is found in Romans [11:25]. 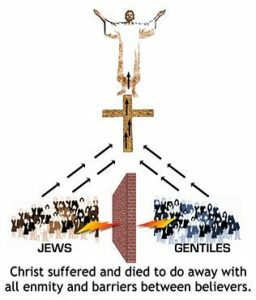 In Romans 9-11, Paul says that Gentile (non-Jew) inclusion in the people of God was made possible by the hearts of the Jewish people being temporarily hardened (Romans [11:25]-26). Accomplishing the mission of Gentile evangelism would undo this hardening. Only then would Paul’s longing for the Jews to believe in Jesus come to full fruition. Only then would the deliverer (Jesus) come again from Jerusalem or Zion. Paul was tracking the prophecy found in Isaiah [66:18]-20. “I can see what they are doing, and I know what they are thinking. So I will gather all nations and peoples together, and they will see my glory. I will perform a sign among them. And I will send those who survive to be messengers to the nations—to Tarshish, to the Libyans[a] and Lydians[b] (who are famous as archers), to Tubal and Greece,[c] and to all the lands beyond the sea that have not heard of my fame or seen my glory. There they will declare my glory to the nations. They will bring the remnant of your people back from every nation. They will bring them to my holy mountain in Jerusalem as an offering to the Lord. They will ride on horses, in chariots and wagons, and on mules and camels,” says the Lord. The conversion of the Gentiles would result in the Jews from those nations returning to the Lord. At Pentecost, Jews whose ancestors were exiled to foreign nations came to Jerusalem from those nations. They witnessed a sign of the Holy Spirit coming upon the disciples, heard the gospel miraculously in their own language, and believed in Acts 2. Returning to their countries, nations scattered throughout the Mediterranean—they spread the word to the Gentiles. Reading Acts 2 carefully, we can see that the nations listed move east to west, beginning with the region where Jews were first exiled. Paul’s missionary efforts began at the geographical midpoint of those listed nations and moved westward. Spain, the location of ancient Tarshish listed in Isaiah [66:19], was the end of the world, according to the thinking of Paul’s time. When Paul wrote Romans, he and other believers had taken the gospel to every region in Isaiah 66, every region that is except Tarshish. For Paul, reaching Spain was about the gospel being fulfilled. There was no other option. This is something we wouldn’t pick up on without reading our Old Testament. That will conclude our essay for this week. 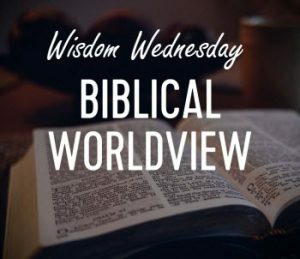 Next Wisdom Wednesday, we will continue in the New Testament as we look at Dr. Heiser’s next essay titled “A Female Apostle.” I believe you will find this another interesting topic to consider as we build our Biblical worldview. Tomorrow we will continue with our 3-minute Humor nugget that will provide you with a bit of cheer and help you lighten up and live a rich and satisfying life. So encourage your friends and family to join us and then come along with us tomorrow for another day of our Wisdom-Trek, Creating a Legacy. 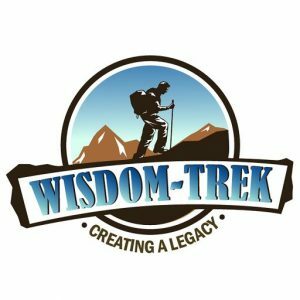 If you would like to listen to any of our past 1020 treks or read the Wisdom Journal, they are available at Wisdom-Trek.com. I encourage you to subscribe to Wisdom-Trek on your favorite podcast player so that each day’s trek will be downloaded automatically.